Jessica Simpson Trying To Stop Sister Ashlee Simpson’s Plastic Surgery Habit? We all know Ashlee Simpson‘s gotten plastic surgery – one only needs to compare old photos of her to realize the difference. However, has Ashlee’s affinity for tweaking her face gotten out of hand? Ok, first of all, Ashlee Simpson looks nothing like one of the real housewives. In fact, apart from her pretty obvious nose job, all the plastic surgery that Ashlee has supposedly gotten has been somewhat subtle, at least compared to the real housewives’ plastic faces. If anything, I’d be more worried about her drastic weight loss, especially if I was her sister. There’s also the fact that Ashlee Simpson once used to be a bigger name than her sister, and I’m sure she’s saved up enough money over the years to take care of herself and not be dependent on Jessica’s pity, especially since she has her own children and family to look after. So why would she care if she was getting ‘cut off’? What do you guys think? 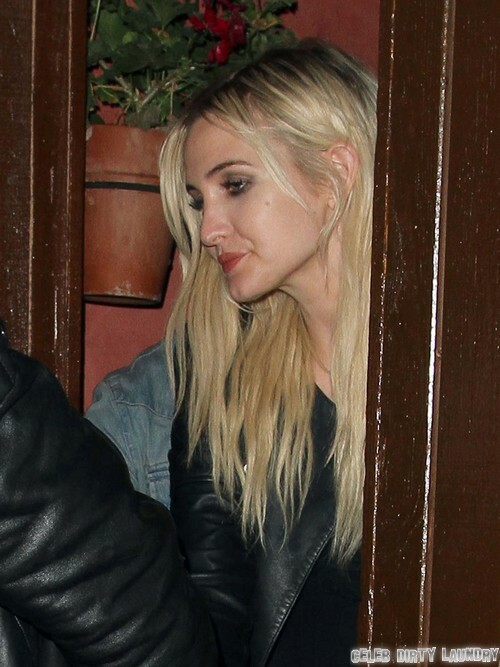 Do you think Ashlee Simpson looks like she’s gone overboard with plastic surgery? Let us know your thoughts in the comments.